Do some cultural sightseeing at Ha Kome Cave Houses and Royal Palace. Get in touch with nature at Maletsunyane Falls and Mafika Lisiu Pass. 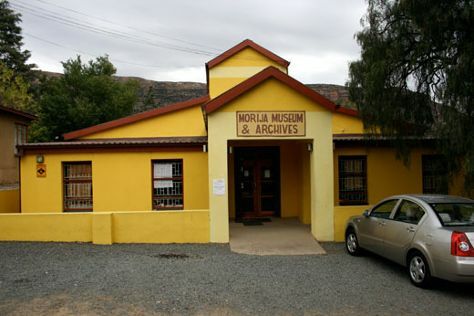 Change things up with these side-trips from Maseru: Gates of Paradise Pass (in Malealea), Setsoto Design Gallery (in Teyateyaneng) and Morija Museum & Archives (in Morija). Next up on the itinerary: stop by Lesotho Co-operative Handicrafts, admire the engineering at Mohale Dam, take an in-depth tour of National Museum, and pause for some serene contemplation at Our Lady of Victory Cathedral. For traveler tips, more things to do, maps, and tourist information, refer to the Maseru sightseeing planner. Montreal, Canada to Maseru is an approximately 30-hour flight. The time zone changes from Eastern Standard Time to South Africa Standard Time, which is usually a 7 hour difference. Traveling from Montreal in January, expect Maseru to be much warmer, temps between 32°C and 20°C. On the 20th (Sat), you're off tohome.